I can't believe 2014 is over already! I swear it was March 5 weeks ago.. Since I usually post my monthly favourite nails I thought a yearly wrap up had to be done too, and it was so great to go back and see the start of my instagram and blogging nail journey and the mani's I created when I was starting to post them seriously and more 'professionally' on Instagram in February. I tried to limit the amount I picked, but you guys, it was hard to pick less than 20!! Lol! so many of them I love. Anyway, this was the lot that I ended up with. 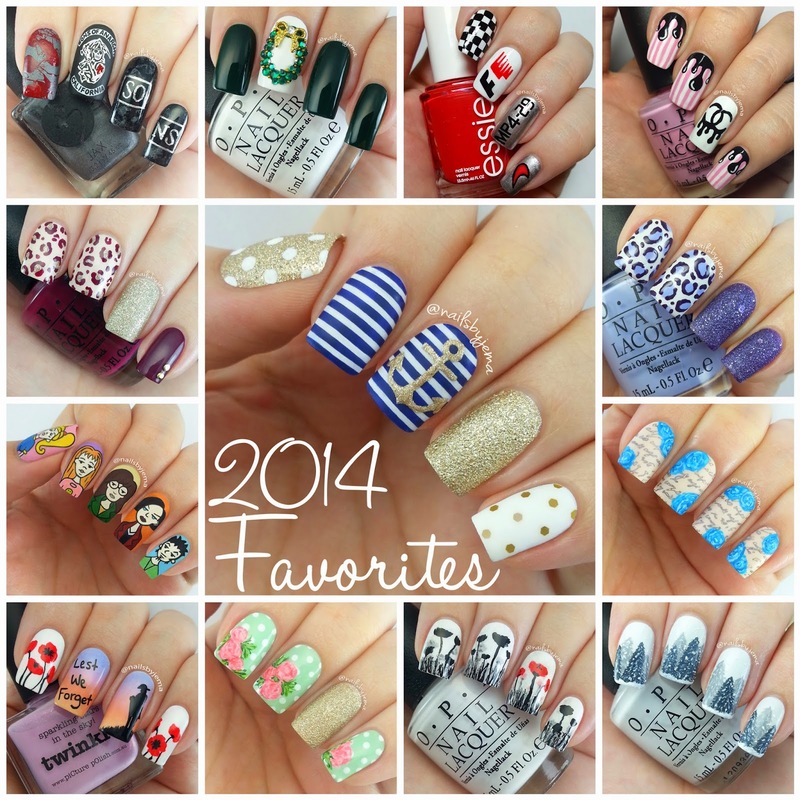 My top faves have to be the Daria nails, the SOA nails, the nautical ones and the green and pink flowers. My Australia Nails For The Soccer!